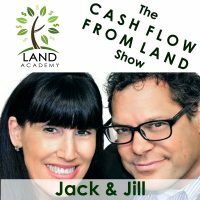 Welcome to The Land Academy Show, entertaining land investment talk. I’m Steven Jack Butala. And I’m Jill DeWit broadcasting from sunny southern California. Today, Jill and I talk about the difference between a successful or a failed mailer. Sorry. I feel bad, but we can help you. I’ve done millions, and millions, and millions of letters. You should go back and calculate that, because it’s staggering, and it’s not stopping. I mean, now we’re doing it with houses and other things, too, so it’s comical. I’ve had exactly one failed mailer in my life. Will you save it for the show? My point is to preface it with this. The name of this episode is The Difference Between A Failed Mailer and A Successful Mailer. I would say 90+ sure I know the answer that everyone is using it, because I know when I talk to them. It’s an incredibly helpful tool. I’ve got nothing but positive people reaching out to me saying, “Thank you, thank you, thank you. It’s so much easier to do this.” Here’s the thing with Equity Planner, and specifically this red, green, and yellow methodology/exercise. If you copy and paste data for one county or one zip code, and you slap it in there, and you stare at it, and it stares back at you, it’s meaningless. It’s only useful if you look at it compared to adjacent or surrounding areas. So if I’m going to, let’s say … I’m filming House Academy right now, and we’re using Mesa, Arizona. Jill and I sent 10,000 letters for houses in Mesa, Arizona, and bought several properties, like five or eight properties. I can’t remember the total. I pitted one zip code … There’s like 10 or 12 zip codes in Mesa, I think … pitted one zip code against the next, against the next, against with next, and we ended up choosing to send to all the zip codes, because it worked out great, except for one. Because there’s one really wealthy area in Mesa that’s just not conducive. The days on market are too long. It’s not a good house flip area. I pitted it against all the surrounding communities and decided just to use Mesa based on that. It’s only useful in its relativity. That being said … It sounds like you. I was waiting for you to say that. This is a good question, Robert. You pit them against each other and decide which one you’re going to … It’s a tool to decide where to send mail. Exactly. So that’s it. I want to just recap. What Steven’s saying, Robert, is, “Yeah, the numbers don’t change, because it’s up to you,” and that’s what we talked about at our live events. We talked about this in detail with, especially, the intermediate group, because that’s who this was really kind of targeted for at that point. It was really … It’s up to you to decide where’s your threshold for green. My green might be your yellow. My yellow might be your red, because you’re new and you’re like, “I’m not going there. It’s got to hit me in the face before I green-line it,” so that’s it. “Okay. And these, I don’t like the way … There’s to many properties …” One variance we look at is how many properties are in that area altogether, and are there more properties posted for sale every month, or is the inventory going down? Inventory going up, that’s an easy one, too. You go, “Oh, inventory’s going down. All right. Now I got number two that makes this even a green line. What’s the other things?” That’s really what it is. You’re probably not doing it wrong, Robert. You’re just not pulling enough in, so it jumps out at you, and that’s the only thing that’s missing. More data’s always better, right? I didn’t say, “Hey, I’m going to go mail Mesa, Arizona.” I didn’t do that. I looked at Phoenix. I looked at Scottsdale. I looked at Chandler. I looked at Mesa. I look at Apache Junction, and on, and on, and on. And decided that Mesa was the best based on the data. You’re right. I’ll tell you, the way Jill and I do this now, we red-line the hell out of everything. I mean, if it’s not perfect, we just move on. It wasn’t like that always. You know what else? I have no, no, shortage of deal flow. That’s the other beautiful thing. I’m reviewing 10 a day very commonly. [inaudible 00:08:11] so it’s so easy for me to go, “No. No. No. No. No. Yeah, I like you.” Done. rejection, plus. If she chooses one a month, only make $50,000. Now she’s making $600,000 a year. You know how hard it is for Jill to do a deal? It takes about a half-hour total if you add it all up. If you add every single thing up, so she’s working a half-hour a month making 600 grand a year. That’s the opposite of a rant. That’s like a weird dad celebratory thing. It is true. No, that’s great. Thank you. That’s perfect. No. It’s not just me. Many, many members are spending a half-hour a month. I got people right alongside me doing the same thing and some doing it better. Yeah. Today’s topic The Difference Between A Successful Or A Failed Mailer. This is the meat of the show. Jill, I noticed that you wrote down some notes. I notice that you’re actually going to participate in this episode. I usually do. You stinker. This is kind of a technical one, so I just assumed that I was going to talk, so go ahead. No. I have a lot to say about it. As the new CEO, I would like to share a few things. I was thinking about this. What’s the difference between a successful mailer and a failed mailer? Well, first of all, a successful mailer, we kind of get it. It was great. It was priced well. Say you sent out 15,000 units for rural vacant land. It came back. You had … I don’t know … 20 or 30 signed offers to review. You picked your five favorites, and you move on. That’s great. That’s kind of the definition of a successful mailer. … is mailed by yield. For every 300 or so offers you send out on rural vacant land, correctly, you’re going to buy property. For infill lots, which are properties that are buildable, that are, let’s say, in between a house and an urban area, about every 1,500 or so, maybe 2,000. And for houses, SFRs, detached residential, single family residential, it’s about 3,000. It’s closer to 1,500, but I like to say 3,000, so people don’t get upset. A failed one doesn’t yield those numbers. Exactly. And the question is, “Well, then, why? How could that possibly happen?” Well, number one, bad data. You might have bad data that you bought from somebody or you have incomplete data, too, by the way. It’s old, it’s incomplete. You’re sending them to who knows where, or like I said, you don’t have the criteria that you need to successfully get your offer. That’s what she means by incomplete data. When you have the assessor data, it’s like 300 columns long. So you have all this background on individual properties, so you can price them correctly. Or you know who owns it, so you can scrub out the stuff you don’t want to buy, like the federal government owns it. Exactly. Make sure you know the right size. Make sure you know how it’s zoned. You got to have that. If you don’t have complete data, you’re wasting money and time. Don’t waste your time. Exactly. I’m not trying to sell you anything, because I’ve done this. I’ve done it the wrong way for … I did it the wrong way for a decade. Go ahead. Before we knew how to get the great data that we have today. Yeah. The second thing that will happen that leads to a failed mailer is poorly priced. Usually, I find with poorly prices, A, it starts with you have bad data, so you’re failing going into it. You didn’t have the right information to really price it properly. The other thing is you didn’t spend enough time on it. You didn’t really study the area a little bit and the market a little bit. Because you really want to go in there and price them effectively, that you’re going to get people’s attention. You don’t want to offer too much, obviously. You don’t want to say, “Hey, name your price.” We don’t want to do that, because everybody’s going to call you back. I think that’s a failed mailer. And you don’t want to come in too low, or you’re going to piss everybody off and have to struggle when they call you back yelling at you to see even if they are interested in selling. And that does happen. So you can recover from that situation, too, by the way. Both of these you can recover. But the perfect scenario is you spent the time. You know the area. You priced them well. You can see that it’s basically $X per acre and create your mailer based on that. Spend the time on it. This is the stuff, too, that we talk about. No matter how big your business goes, and hey, maybe it’s fast forward 25 years, and you’re us. You are proven. You had all those deals under your belt. You have the experience. What are some of the things that you still don’t give up? Pricing your own mailers, and knowing that area, and doing that. Because no one’s going to do it better than you. There’s stuff that we don’t sub out, because we want to make sure it’s done right. And you know why, too? We’ve done it for so long … He has done it for so long, so successfully, it’s doesn’t take him long. He knows how to do it. Yeah. A place close to Los Angeles. I’m just about to do a mailer, and actually, I’m going to … Because the mailer itself is entirely different. How it reads is entirely different for a personal primary residence like that. In fact, I’m going to actually put it on Offers2Owners as an example. That’s perfect. Share that. I like that. We should share that one, too. … buy houses from a data standpoint, and how you do a mailer is entirely different than land. I was thinking about doing a HouseAcademy 2.0: Primary Residence. Because HouseAcademy 1.0 is single family residential for flipping purposes. For flipping. Do one for, “This is one you want to keep,” whether it’s a cabin, your next home, your vacation thing.” I love it. I think that’s great. I love we should … Because we share them already, in case you didn’t know. If you go to our mail site, Offers2Owners.com, and you look under … I think it’s under Forms. If you want to see our standard house and-or land template for a mailer, yeah, you can download it into Word and use it, and change it, whatever. Have at it. It’s there for you, so check it out. And we’ll put this up there, too, when it’s done. Thank you. Here’s why they fail. They sent out a postcard. First of all, postcards do not work, period. Or they sent it to current resident. They didn’t send it to John and Sally Smith. They didn’t put a purchase price in there, all right? So we utilize a mail merge, right? That’s what we teach. So it looks like the person who’s opening that letter … It looks like you just sent it to them. You didn’t send it to 25,000 other people in the area. Like you single them out. It’s because of this mail merge concept. There’s a right way and a wrong way to do this, and we obviously teach the … A couple days ago on the podcast, somebody said, “Do I really need to buy the stupid LandAcademy thing?” It costs 50 cents a letter to send out. You might as well do it right, or you’re just going to be wasting a lot of postage, and you’re going to upset a lot of people if the price is too low. Or you’re going to get way too many responses if your price is too high. So just learn how to do it right. Or go buy a convenience store. One of the two, but don’t do it halfway. Right. Or something else. Maybe a mall Sunglass Hut. To would be good. Yeah. That be easier than a convenience store. All right, Jill, so what do you do? How do I recover? Okay. Yeah. How do you recover? Well, here’s the thing. We laugh about this. Not our members, the sellers call back. They can turn it around. You can. Let it go the ball in their court, and leave it at that. And be silent, by the way. We talked about this on one of our member calls, too, the value of silence. Letting them think about it. Don’t be the first one to talk. Let them do it. If they need to sleep on it, they might say, “I don’t know. No, that doesn’t work for me.” Leave the door open. We have members who intentionally do this just to get them on the phone. Yeah. Leave the door open. We don’t do that, though. Let them know that, “Hey, if you change your mind 30 days from now, then …” Or whatever you feel like. “… call me back. I’ll still buy it. That’s my price,” and then let them go. By the time they walk around saying, “I have an offer for X. I want to sell it for Y,” and they realize no one’s willing to pay Y, they’re going to call you back and go, “All right. You know what? I get it. I’ll take your X,” kind of thing. That happens a lot. The other thing that happens is the failed mailer you went in too low, and you pissed off everybody. Those are the calls that I think happen more often, and those are the fun ones. I think they’re funny and hilarious, because I like … Maybe because I’m a girl, too. I get them on the phone, and I’m comfortable, and like, “I clearly missed a zero,” or, “I totally botched that up. I am so sorry.” There’s a way you can that and calm them down. Then after you’re done, all you’re really trying to do is figure out are they calling you because they’re mad, or they’re calling you because they’re mad at the offer, but they do want to sell? Once you determine that real quick, go, “All right. Now that we figured that out, do you want to sell?” “Yeah, actually I do.” “Great. Okay. Well, how about this? Let me go back. I will re-look at this, see what it’s worth, and get back to you,” kind of thing, if you need … I’m assuming you’re new, and you need to do this. Then I go do my … Then I come back, too, with, “Here’s why I think it’s worth this,” and spell it all out. Then the same thing, the ball’s in their court. If you are a member, you already know the value of a mail merge versus the stupid postcards and all … There’s all the wrong ways to do a mailer, which is the vast majority of people do one mailer … that are non-members. They do one mailer, and they never do it again. We have the other thing, too, that they did a mailer. They didn’t really understand what they were doing. They still bought something. Yeah. That’s my point here. That’s my point. Let’s say … You know the yield figures that I threw out in the beginning? Let’s say your yield is twice as bad, okay? Instead of 300 mailers, you bought one for every 600 you sent out. It costs 50 cents to send a mailer out. If you send 3,000 mailer out, it’s going to cost $1,500. And you buy a piece of property, mark it up 10 grand, and resell it that week. Did you win or lose? Let’s say it’s 9,000 mailers. It costs 4,500 bucks, and you sold a property for $10,000 more. Did you win or lose? Failed mailer is very, very, very rare. A failed mailer … I mentioned earlier I did an unsuccessful mailer. It was in Michigan, and I completely priced it incorrectly and people … This was a lot of years ago. I priced it like it was Arizona, which is … People in Michigan are falsely proud of … I’m from Michigan. I can say all this stuff. They have this false sense of … Most of the people I’ve ever met from Michigan have the sense of their stuff’s not … They think it’s worth way more than it is. It was failed, because I stopped answering the phone, because people were angry and all kinds of stuff. If Jill was answering it, it would have been successful. We’d be batting a thousand. My point is this. It’s very, very rare to have a failed mailer. But you know what? And so what if you do? We talk to members all the time like, “Yep. I did a bad one. I learned it. And then I solved it, and I fixed it,” and that’s it. Don’t let it slow you down. Well, you’ve done it again. You’ve spent another … I don’t know … 15, or 20, maybe 30 minutes … 25 minutes. Wow, 25 minutes. … listening to The Land Academy Show. Join you next time for an episode called Where Does This Business Model End? Oh, that’ll be fun tomorrow. And we answer your questions posted on our online community, LandInvestors.com. It is free. No, you’re right. That was long. Jill kicked me under the table. Hey, wherever you are watching, or wherever you are listening, please rate us there. We are Steve and Jill. … to buy undervalued property.